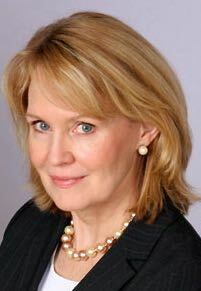 WASHINGTON—Carol “Rollie” Flynn, founder and managing principal of Singa Consulting, LLC, has been elected to the Board of Trustees of the American Foundation for Relief and Reconciliation in the Middle East (FRRME America). Flynn is a 30-year veteran of the Central Intelligence Agency, where she served as Director of CIA University’s Leadership Academy, Associate Deputy Director of the National Counterterrorism Center/Directorate of Strategic Operational Planning, Executive Director of the CIA Counterterrorism Center, Chief of Station in major posts in Southeast Asia and South America, and as an Operations Officer in Africa and Southeast Asia. She is also an adjunct Professor at Georgetown University’s McCourt School of Public Policy and Edmund A. Walsh School of Foreign Service/Security Studies Program, and is a visiting faculty member at the Fordham University Graduate School of Business. Flynn serves as an Adjunct Staff member of Rand Corporation, a member of the Council on Foreign Relations, and a Senior Fellow of the Foreign Policy Research Institute. FRRME America is a 501(c)(3) non-profit organization that promotes reconciliation, provides relief efforts, advances human rights, and seeks an end to sectarian violence in the Middle East. Two Great Ways to Make a Difference Today. Want news and updates about FRRME America? The American Foundation for Relief and Reconciliation in the Middle East is a registered 501(c)(3) non-profit organization. U.S. taxpayers may make contributions that are deductible under federal tax guidelines.